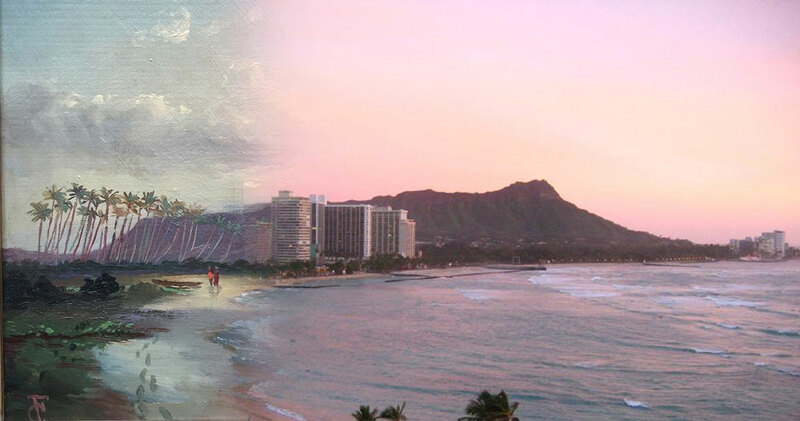 Association of Hawaii Artists (AHA) will hold a three-day statewide on-site art creation event preceded by cultural training about the selected locations. Hawai’i resident artists are invited to participate in the event to create art on location and capture the wahi pana they feel about the place. The exhibition will display the results of the event and provide a comprehensive view of contemporary local artists working in the islands today. Wahi Pana: A Sense of Place will expand the eyes of kanaka ma’oli, kama’aina, and malihini alike as they rediscover familiar locales through different eyes, learn new history, and nourish a sense of curiosity and respect for places not yet seen. The prospectus is ready and the educational opportunities are starting very soon. Check back often for updates, resources, and information to get ready between now and March 6 so that you will be able to participate March 8 – 10, 2019. We recommend you sign up for the newsletter, which will share critical information for participation in the exhibit. Optionally, you can also subscribe so that News posts also come directly to your inbox. The zip code we are requesting will help us know roughly how many artists are participating on each island.